Bro up! The dogs of war are at the door – and they brought aliens. Free Lives hinted at a forthcoming alien invasion with the addition of Ellen Bropley some months back and Broforce has made contact with the Housekeeping Update. A word against reading on: In smash.the.game.state fashion, this post is not a review. The merits of Broforce will not be discussed. Rather, this post seeks to smash into Broforce and muse on the starstuff pixels exploding from it like spiders across the stars. 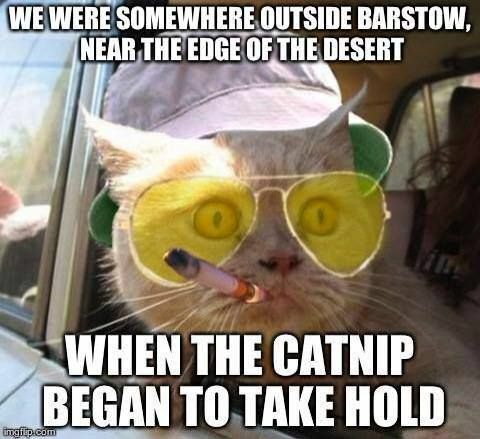 Maybe you’ve heard this one before: Sagan, Kerouac, and Thompson were on the road somewhere outside Barstow, near the Pale Blue edge of the desert… Broforce’s crow-murder of expendable heroes is decadent and depraved. 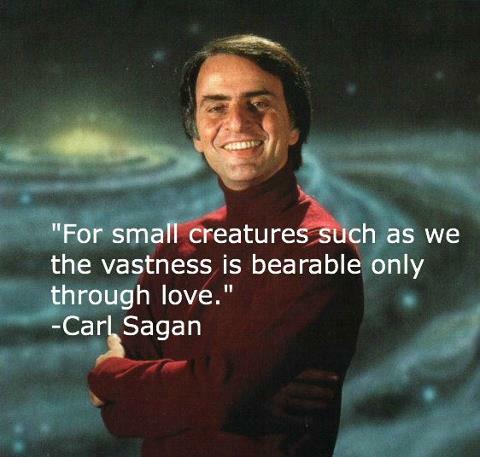 And like the work of Sagan, Kerouac, and Thompson, it expresses some hard truths about the American Dream. The South Africa based team at Free Lives has said in interviews that the intent of the game is to be “fun” without the appeals to “emotion” which, far too often, sap the fun out of gaming. (Examples: the sudden addition of emotionalism into Bulletstorm’s climax or pretty-when-she-cries Lara Croft looking extra pretty crying muddy in the firelight. An argument could be made to include Max Payne’s brand of humorous self-pity on the list.) Seeking to eliminate emotion from the picture, Free Lives identifies the game’s inspiration in that half-cocked juggernaut of consumer paraphernalia – 1980s and 1990s American action films. That is to say, popcorn entertainment, something to stare at until you fall asleep on the couch. Guns, muscles, ‘splosions. Nevermind the Reagans with their brand new bag of the same old dirty tricks, the Jack Thompsons and the Tipper Gores, nevermind the regularly scheduled programming CNN interrupted to bring the SMF friends of Twisted Sister (link contains NSFW language) into your living room. To liberate an area implies a pre-existing condition of oppression in the area. Legitimate armies move to liberate an oppressed people from an oppressor. In modern language, the word used for the oppressor is the foreign-sounding “regime,” from the French for “regimen” – a dose of poison, if you will, on which the liberating forces act as activated charcoal. State 2 must act in the name of State 2’s people to rescue State 1’s people from State 1. Even if State 1 was here first. Broforce can be interpreted as a parody, accidental or otherwise, of unilateral military action carried out by military contractors at the behest of the United States “government” (see also: state, regime), as evinced by a common pattern of gameplay. Broforce action hero takes ground, kills occupiers, flies the star spangled banner over the rubble and bones. Does not rinse off blood. Action hero repeats until the devil comes down to Vietnam. Action hero kills the devil – an incarnation of evil in a suspiciously Western suit and black tie. Action hero hops on helicopter, and the area is carpet bombed into liberation. Obliteration is liberation and freedom is the only way, yeah. Google “Broforce Murrica,” Murrica being a distinctly Texan pronunciation, and you would think by the results (as one reviewer suggests in an Early Access review) that the game is expressly concerned with parodying the Bush Doctrine of foreign policy and unilateral military action. In Broforce, good Americans (the few, the proud) take up arms and go to war with the devil, fighting to the last man. Linking Broforce directly to Texas is Brodell Walker, a play on the name of Chuck Norris’ character from his “Walker, Texas Ranger” TV show, itself the spiritual heir to the John Wayne mystique. Chuck Norris’ internet celebrity as the indomitable lawman from Texas owes as much to his action films as it does to the Alamo and its memory — not to mention the untimely loss of Bruce Lee. American gamers can find a more useful interpretation of Broforce’s phantasmagoria of American M-16s on rock-n-roll in a jungleland full of inhuman foes (now more explicitly inhuman, with the addition of alien enemies in the November 2014 build), an interpretation inspired neither by the Bush Doctrine nor by the old chants of “Hey, hey! LBJ! How many kids did you kill today?” Nor is the appropriate reading dependent on assertions found in the liner notes of Lee Greenwood’s Proud to Be an American. Rather, I’d gladly stand up and argue that Broforce may, and should, be used to tell scary truths about American idealism, imperialism, and identity. As the developers say, their purpose was to make something new, a game you couldn’t make in the ’80s or ’90s. 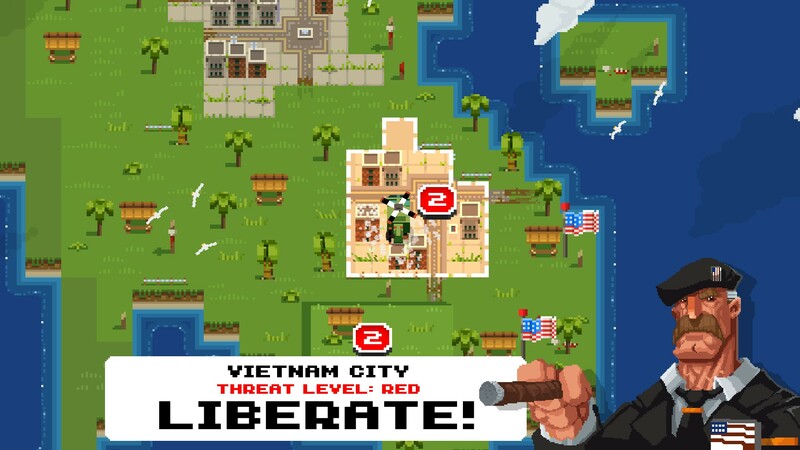 I suggest that, by turning Broforce’s farcical nation-building guns on ourselves (boom-boom-boom, area liberated! ), we can better understand the roots of the Great contemporary political Divide in the present-day U.S. of A. My reasoning for this begins here: Broforce is Free Lives’ South African take on an ultraviolent selection of Americana. As such, it is an effort of outsiders looking in. Adroit pop cultural emulation all but guarantees that idiosyncrasies invisible to the cultural native who has been conditioned to overlook them, will find daylight. Perpendicularly, same point, different axis of intersection: A new perspective brings its own selective blindness. Take, for instance, this rhetorical from a developer: “Who would want to play a game about a South African action hero?” As an American with little experience of South African pop culture and littler comprehension of the broader cultural mentality, I think Nelson Mandela: Aparteid Smash, written by J.M. Coetzee, scored by Die Antwoord and narrated by Ninja, and with a visual aesthetic akin to District 9‘s playful-miserable grays-and-goops. And then I exclaim, “Yes! Let’s make this happen! To Kickstarter!” The developer provides a humorously inappropriate and (it would seem) distinctly South African example of his own. The punchline is lost on the British interviewer. Good thing Broforce is just mindless entertainment. No politics, all fun. Otherwise, I would have you consider the chart below, comparing American Jim Crow laws with South African Apartheid. General Explanation State and local restrictions based on “separate but equal” status for black Americans. These circumstances led to “dejure segregation” “apartness” system of legal racial segregation enforced by the National Party of South Africa. “Minority rule” by white people was allowed by Dutch descendants. Examples of Segregation Voting restrictions, segregation of public restaurants, facilities, schools, etc. Segregation of education, medical care, forced separation, etc. The similarities noted above suggest that racist social policies (associated with the American South though found throughout the Union, too) share a kinship with Apartheid. Bearing in mind the legacy of Jim Crow in the South, we see that Broforce’s American huah bravado-as-substance is cut not from the cloth of the stars and stripes of the state of the Union (displayed prominently in the game) but, rather, from the stars and bars of the old Confederacy. Broforce serves as a remarkable image of Rebel Proud hubris and Republic of Texas bullheadedness, cast as it were in the red, white and blue of their mutual Union aggressor. Such is the duality of the Southern Thang. The disgusting contingencies leading up to the divide at the Mason-Dixon line and those leading up to the Apartheid are beyond the scope of this post. Within scope, we can, and should, consider contemporary South African and American identities as scarred by institutionalized racism and, in a sense, unReconstructed. The racist practices of capitalism persist. In America, the institution of slavery has been re-branded and hidden from public view. To the contemporary Yankee sensibility, the Rebel Proud phenomenon seems a ruse for racists, the stars and bars a klansman’s daytime hood. “What about Sherman’s March to the Sea, where the Union systematically trounced their cotton-pickin’ asses, do they fail to comprehend?” asks the Yankee. But the inquiry ends prematurely. “They must just all be racist idiots.” (Never a good blanket statement to make about a group.) Therefore, the Yankee mentality concludes, the flag must go. Down slams the star-spangled gavel. Case closed. Of course, to destroy a symbol is to reinforce its legitimacy in the eyes of its followers. Rebel Proud, as a phenomenon, relies on the conceit that Lincoln’s unilateral action against his own people (history repeating playin’ reruns) marked a grave injustice – bloodthirsty persecution of women and men by a traitor charged to protect them and serve them. To a Confederate loyalist, first blood is and will always remain on the tyrant Lincoln’s hands and the insurrection is a just response to “Northern aggression” from overzealous Feds. Our hypothetical Confederate loyalist is hypocritical when he forgets or overlooks the brutality of the inexcusable economic institution in whose defense he has taken up arms. (Fact: The first blood of the American Civil War was African and it was shed in a slaveship, centuries before the first shot rang out at Fort Sumpter.) Is our Confederate loyalist a wealthy Southern Democrat hellbent on continuing his own tyranny? Is he not a rich man but rather the vassal of one, willing but not without misgivings to do his boss’s bloody bidding? Is she a Southern belle comfortable in her position of stature and willing to hear the spinning wheel wear out the fingers of innumerable slavegirls to spare her own’s becoming hard and unladylike? Is she a worker, a servant, who sees collaboration as an ugly necessity and joins the war effort because she can knit or cook or carry supplies or tend to wounds and after all everyone she knows has joined up? Maybe for some, joining up was never about ideology but rather a compulsion brought on by waking up to the barn burning or receiving a letter from your sister-in-law that says your only brother bled out in a hog pen and they just left him there like a butchered animal an’ you sware vengeance ‘fore God Almighty ‘gainst the devils in the blue what put your brother in an early grave. Suddenly, the big war effort seems tangential, circumstantial, an unimportant prelude to the vendettas that steer the affected generation’s fates and the blood feuds which will plague the descendants. Vendettas and blood feuds shape consciousness. Those who identify as coming from a military family talk about the “tradition” of joining the armed forces. They remind us of the local character of war. “Sit yourself down and hear tell about the wars what my daddy and granddaddy fought.” The specifics of the conflict are insubstantial in comparison to the sense of fulfilling one’s duty in service, of keeping the tradition alive. Bleed all you can bleed for the sacred blood feud. Make daddy, God, and country proud. Simulations of the mass murder and pillaging which characterized Sherman’s March to the Sea would be right at home in Broforce’s jungle hellhole. Just think: Brodell Walker in place of the Man with No Name wandering into the Good dead space between the Bad and the Ugly. All it would take is another conceit, akin in absurdity to the one that allows for an army of battle-ready suicide bombers and certainly less absurd than balaklava wearing warriors allying themselves with aliens to fight American action hero ripoffs in a fully destructible Vietnam wrought with death-bringing mechs and Metal Sluggish helicopter war machines designed by Early Cuyler. Consider the prevalence of depictions of violence against people from Asia and the Middle East in contemporary games marketed to continental Americans and Western Europeans, each Western entity with an astonishing track record of committing actual real-life obliterating violence in the name of liberation. In gaming media, pictures of liberation and obliteration continue to be made from the perspective of the liberators and not the liberated. Despite the emptiness of its bravado and its farcical presentation, Broforce does little to discourage the ugly tradition in game design of putting the player in the Western oppressor’s boots. Local manifestations take precedence. Always. 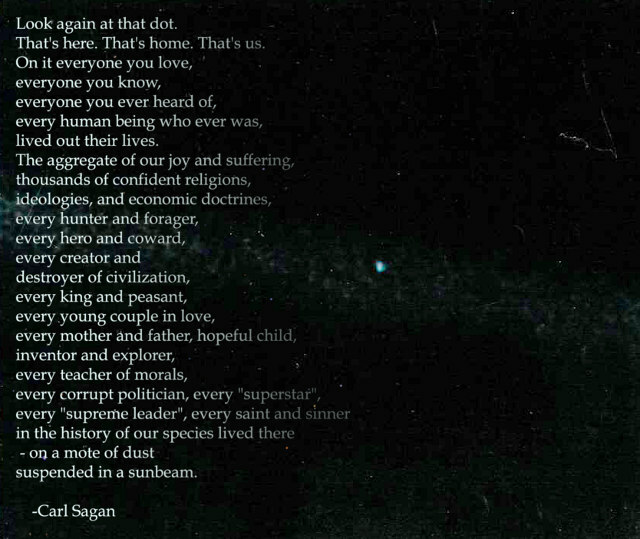 As a parting thought, I would have the reader consider Carl Sagan’s comments on the Pale Blue Dot photo. “That’s here. That’s home. That’s us… etc., etc.” sounds real nice, but his intention was not to say something cool to go on that poster in your dorm room, Bro. Sagan’s intent — stated in the paragraphs immediately following the famous one, and in his later books — was to “underscore[sic] our responsibility” to avoid violent means and seek peaceful resolution in this terrifying nuclear age. We might say, with the same sentiment, that from the perspective of the Voyager 1 every war is a civil war. Brothers killing brothers, bros killing bros… Shudder at the thought but save your breath, bro. In space, no one can hear you scream.